Joey Weigert was diving in 6 feet of water near Kihei, Maui with his three prong spear when he spotted a nice-sized fish. He stalked and speared his target and later took the pearl wrasse to New Maui Fishing Supply to have it weighed. 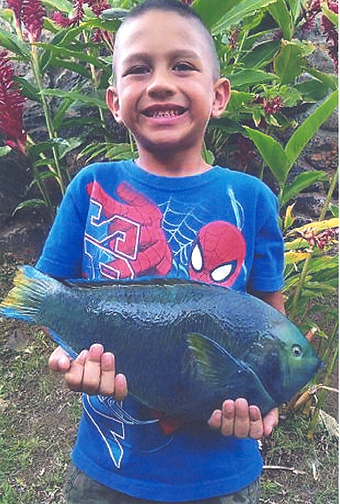 He was stoked to discover his fish was a new state record pearl wrasse weighing 2.11 lbs.